EXECUTIVE SUMMARY: Measured IDF policy towards the Palestinians does not reflect leftist leanings in the IDF high command or fear of the ICC. The main driver of IDF policy is a sensible cost-benefit analysis. 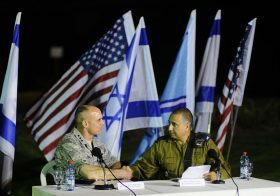 The benefits of a much harsher line, in terms of reducing the current occasional pattern of violence, are uncertain, but the costs would certainly be high – not least in terms of opportunities to boost Israel’s relations with key players around the world. 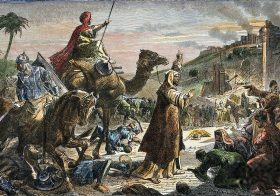 These considerations have now withstood the test of the dramatic events on the Temple Mount, and proved as relevant as ever. Within the last two weeks, interactions between Israel and the PA at the ministerial level have offered proof of the value of current Israeli strategy towards the Palestinian population. First came the positive meeting between PA Prime Minister Rami Hamdallah and Israeli Finance Minister Moshe Kahlon, during which the former offered uncharacteristic praise of Israel’s measured response to the wave of violence that began in October 2015. Then came the July 10 inauguration in Jenin of the power plant project, jointly launched by Hamdallah and Energy Minister Yuval Steinitz, which indicates once again the utility of Israel’s gas exports as a tool of regional policy. Palestinian praise for Israeli policies – amid a regular pattern of abuse, defamation, absurd UN resolutions aimed at denying the Jewish presence in the Land of Israel, and intermittent violence by Palestinian attackers who win moral and material support from the PA leadership – sounds like a “man bites dog” story the media should love. But little attention was paid to the highly unusual comments made by Hamdallah during his meeting with Kahlon. Side-by-side with a wide-ranging discussion of economic arrangements, Hamdallah felt obliged to take note – in public! – of Israel’s moderate and well-calibrated response to the violence that erupted late in 2015. It is true that perpetrators and would-be perpetrators are apprehended and sometimes killed. But the attitude towards the population at large, and towards the economy of the West Bank, is deliberately geared to avoid collective punishment and give the peaceful majority a stake in stability. This approach, as well as other major decisions (such as building permits in area C), reflects a consistent set of policies that are based, to some extent, on American lessons learned in the realm of counterinsurgency as well as on Israel’s own extensive experience on the ground. They do not insure against further violence – in fact, a major clash erupted in Jenin just a day after the power plant ceremony. But they do serve three key purposes. 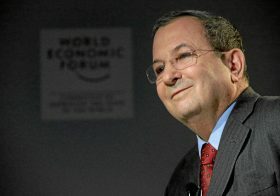 They create a stake in stability for a growing segment of Palestinian society; they reduce a potential point of friction between Israel and her key Arab neighbors and partners in the region-wide struggle against Iranian ambitions and Islamist totalitarians in their various forms; and they play a role in creating an atmosphere conducive to Israel’s recent burst of successful foreign policy activities. The approach makes it easier for the Palestinian security forces, despite brutal criticism from Hamas and others, to sustain its security cooperation with Israel, which ultimately not only saves lives but also reduces the level of direct friction between the IDF and the population (not to zero, as was demonstrated on July 11 in Jenin). 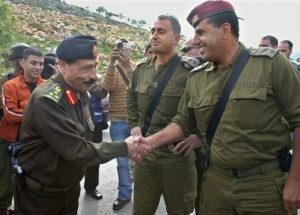 Israeli commanders in the field instruct their officers and soldiers to deal courteously with civilians whom they meet in the daily conduct of life at checkpoints and on patrol. Many of the senior officers are themselves veterans – as younger officers – of the intensive clashes of 2000-04 (mistakenly referred to by many as “the second intifada,” though this was not a popular uprising but a campaign of violence conducted from above – “Mister Arafat’s War,” as Tom Friedman called it back then). They well remember the lessons learned during that period. Some have also internalized aspects of American field manuals on counterinsurgency, which bear the marks of what David Petraeus and others learned in Afghanistan and Iraq. These policies towards the Palestinians, which are enhanced at the national level by a more generous policy on finances, trade, and infrastructure, are not universally popular. It is difficult, after all, to advocate for them while the PA continues to nurture the families of “martyrs” and jailed murderers. While some on the left see the policies as insufficiently lenient, many on the right see them as signs that the IDF has lost its edge. It now panders to the Palestinians and strives for international approval, they claim, when it should be striking hard at those who hate us. But a balanced response is not a matter of political preference, submission to international pressure, or naïve notions of who we are up against. 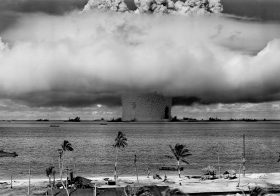 Considerations of public image, both domestic and international, may play a secondary role, as does the long shadow of the ICC. But the choices made by the IDF and the Cabinet are rooted in Israel’s national security interests. At the Palestinian level, these attitudes reduce tensions and offer incentives for the uninvolved to stay that way. The ideologically committed elements are relatively well-mapped in terms of intelligence coverage and are dealt with much less leniently, with impressive statistical results. Moreover, this approach enables the PA Security Services under Majid Faraj to sustain their cooperation with the IDF and the Shin Bet, which greatly reduces the load on our forces and the level of friction with the local population. This is not to say that the Palestinian security forces can now fend for themselves. They are at best half-ready, and if left to their own devices would be swept away by Hamas (as happened in Gaza in 2007). Still, the mutual support is a win-win, and it cannot be sustained in a more confrontational atmosphere. 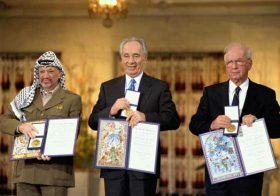 Moreover, at the regional level, the careful management of the conflict, and the measures taken to avoid escalation, make it easier for Israel to husband the broad and robust set of relationships it has with its two peace partners: Jordan, whose stability is vital and could easily be threatened if things go wrong on the other side of the river; and Egypt, which looks upon itself as a custodian of basic Palestinian rights. The same is true, to a large extent, for other, less overt friends in the region, who share Israel’s view of the Iranian threat. For all these countries (or, rather, for their leaders), the Palestinian cause as such is not of primary importance. They cannot, however, do much business with Israel if the Arab media is flooded by visuals of clashes and casualties. Finally, Israel’s standing in the world is indirectly enhanced by the current policies towards the Palestinians. This is not because they necessarily change the attitudes of friendly leaders, but because they make it easier for them to be seen with Israel. In the case of Indian PM Narendra Modi, for example, he was able to visit Israel last week without having to contend with aggressive criticism and explain away troubling images. This in itself is no reason to let Palestinian perpetrators roam as they wish. But with this limitation in mind, the IDF is systematically working (supported by good intelligence) to distinguish between the bad apples and the bulk of the population, and, as much as possible, to avoid alienating the latter. This is not, therefore, a matter of leftist leanings in the IDF high command, misguided moral musings, undue respect for the opinion pages of Haaretz, or an inordinate fear of the ICC. The main driver of policy for the IDF, the Minister of Defense, and the Cabinet is an effective cost-benefit analysis. The benefits of a much harsher line, in terms of reducing the current spasmodic pattern of violence, are uncertain. The costs are sure to be high, not least in terms of the opportunities – which would be lost in the case of escalating measures – to boost Israel’s relations with key players in all four corners of the world. 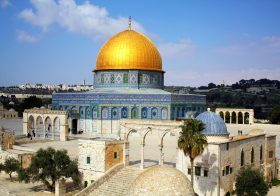 These considerations have now withstood the test of the dramatic events on the Temple Mount, and proved as relevant as ever.